CounselingDegree.com is an information hub for for students pursuing degrees or jobs in the counseling field. Counseling is a field with a wide variety of career options. As such, many schools offer a wide range of degree programs from clinical psychology to family counseling. You can also pursue a degree in school counseling, which prepares graduates to meet the challenges of today’s elementary and secondary schools. For those who are going to school for a degree in school counseling, you will work toward a Bachelor of Science in Counseling or a graduate degree for a Master of Education in Counseling. Most schools require students to complete two years of field work as teachers before becoming a school counselor of any sort. This means a teacher must have a teaching certificate and two years of teaching before finishing their master’s degree. There are different types of school counselors; some work as academic advisors, helping students explore education options, whether it is a university degree or trade school certificate. Others work as counselors aiding students with mental health issues, school and family stress, and other personal problems. You are in a position of helping students grow and develop through the grade school and secondary school years. What Exactly is a Counseling Degree? A counseling degree is a degree that prepares you to work as a counselor. It can also be a degree that leads to working in public service, such as a social worker. There are various types of counseling degrees; the most common is a Bachelor of Science in Counseling. You can specialize in different types of counseling such as focusing on youth or families. Counselors work in many different places, and it is a growing field. The majority of counseling degrees guide a student in the directions of school counseling or professional counseling. Each field requires different things for you to be able to practice as a counselor and these requirements vary by state. It is best to seek a school that prepares you for the exams and licensing for the state you will work and practice in. Professional counseling programs prepare students to work with diverse groups of people from all backgrounds, including working in metal health. The vast majority of students go on to seek a license to work in their state and many go on to graduate school for counseling or other mental health related subjects. With a Bachelors of Science in Counseling, a student is fit for entry level positions working in mental health. What Do I Learn in a Counseling Degree Program? Students complete classwork and sometimes internships for a counseling degree program; an internship for a counseling position may involve getting coffee for a counselor or therapist, but it can also involve shadowing for portions of the job that do not violate client confidentiality. A student studies theory, ethical practices, and counseling tactics for working with people from all genders, races, and economic backgrounds. Being a counselor requires a compassionate person who is not judgmental in any way. You also learn your role as a counselor and how it relates to the client, whether working in a professional or school setting. Students will learn how to use research to better treat and help clients, and how studies relate to the demographic you are regularly working with. For school counselors this might be teenagers, and for professional counselors, this might be couples. You also learn how to properly assess clients’ needs for appropriate treatment. Are There Scholarships for Counseling Degree Students? Yes. There are many different scholarships and grants out there for those seeking a counseling degree. It is an industry that is steadily growing as everyone from sports teams to public schools begin to realize how important sound mental health is for people. You can choose to work in many specialized areas of counseling, such as working with children or the elderly. Fellowships are another major part of counseling degrees, especially for graduate school. This is a fellowship awarded by the American Psychological Association (APA) and supports graduate students studying and researching child psychology. This is awarded to only one student per university. There are up to four awards of $25,000 given each year and two runner-up scholarships of $5,000 awarded. The Beacon Club is part of the World Association for Infant Mental Health and works towards awareness of mental health for parents and educators. The Beacon Club also educates parents in developing countries about the importance of infant mental health. This scholarship was created in memory of Karen Pendleton PhD and is open to students who are studying infant mental health. This is a growing and fascinating field where many developments are being made. Students must submit a cover letter about why they’re interested in studying infant health and how the scholarship will help them. A letter of recommendation is also required by a professor or mental health worker who works closely with the student. This is another scholarship awarded by the APA and is given to students studying the psychology and dynamic of families. This is best for students focusing on family relationships and healthy parenting skills. This scholarship is for $1000. The American Counseling Association and the American Counseling Association Foundation have partnered for this scholarship. This is for students who are studying for a masters or doctorate. 10 master’s scholarships are awarded and five are given to doctorate students. A combination of high academic achievement, community volunteer work and recommendation from a professor or counseling educator are preferred. The Texas School Counseling Association (TSCA) awards up to six scholarships each year. The group has three different types of scholarships. To qualify for some, so you must be related to someone who is part of the TSCA or have a recommendation from a school counselor who is part of TSCA. TCSA does award up to four additional scholarships of $500 each to students in graduate school for counseling. The American Association for Marriage and Family Therapy offers a fellowship program for minorities. Students must have a green card or be a permanent residence or citizen of the United States in order to qualify. This is for masters and doctoral degrees studying family therapy. Working as a school counselor opens up many opportunities for you to work with youth and teens. School counselors are required to have a teaching certificate in most states, which will be an additional exam. Many states require a school counselor to teach for two years before becoming a school counselor. This can be done while you’re studying for your masters or you can take a break between undergrad and graduate school to work as a teacher for two years. School counselors are needed for every age group, including elementary, middle school and high school. School counselors can also work at community colleges or universities. In some instances, this may be an academic advisor role, helping students apply for loans, scholarships and helping them through the stresses of college life. This position is sometimes referred to as a career counselor. There are also probation counselors who help students lagging behind in school work and grades. It the duty of a probation counselor to help a student select classes and the proper course load that works with their schedules. Many students have other commitments such as family or full time work that prevents them for attending school full time. A probation counselor helps students who are on academic probation focus on what classes work best for their schedule. In other cases, this can be a position with a mental health slant, aiding college students through difficult times. Working as a professional counselor puts you in positions such as social work. Many people who get undergrad or graduate degrees in counseling go on to become licensed therapists. 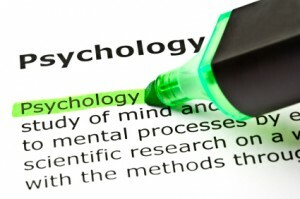 You also have the option of studying for a doctorate to become a psychologist. All of this depends on what your end goals are as a mental health professional. In every state you will have to take a licensing exam that allows you to practice as a certified professional counselor. Professional counselors are needed in rehabilitation clinics, at community centers and mental health clinics. You can also start your own practice or work within a practice of mental health professionals. This is a rapidly growing field, as mental health is becoming high profile. People are realizing that talking to a professional during a time of crisis is beneficial and prevents situations or tasks from becoming overwhelming. Working as a professional counselor gives you many career paths since you can work in different positions every few years.